If you have searched the internet for information about Hadoop the last few years, you probably noticed that something important was missing out there… It turns out there is not a single active podcast out there that specifically deals with the Apache Hadoop ecosystem. 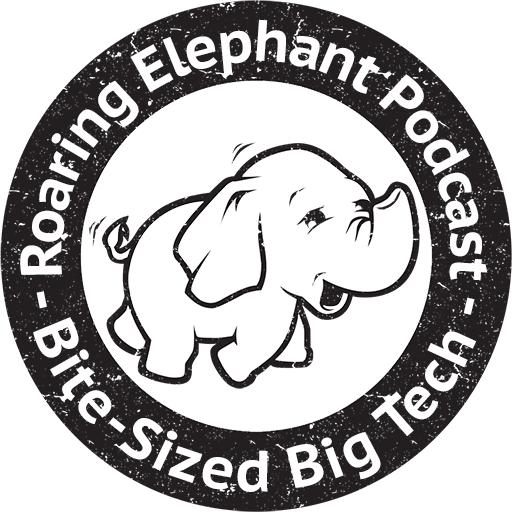 Or at least, there was no podcast out there because today we present to you the Roaring Elephant podcast, a community podcast, every two weeks about Apache Hadoop and the surrounding ecosystem for anyone who is working with, or is thinking about starting to work with Big Data. We, your two co-hosts, Dave Russell and Jhon Masschelein, started this new podcast in November of 2015 and now already have a backlog of episodes for your listening pleasure. Episodes range from more general discussions on do’s and don’ts and implementation options to a technical introduction to Apache Spark or even an introduction with one of the founders of NiFi. The intention is to cover the whole gamut from top level general discussions all the way down to deep dive technical talks across the entire ecosystem, picking up new and exciting topics when they present themselves. We hope that this content will be useful for people getting their feet wet in the Big Data world, and it’s mainly aimed at system architects and technology users. Listener interaction is incredibly important to us: we really want to make sure that we cover the topics that are important to our audience at any time given, so every episode contains a section where listener questions are answered. Sometimes, a question will actually lead to a main episode topic. We’re really interested in any thoughts, comments and feedback you might have so please don’t hesitate to use the feedback form on the website and we really look forward to hearing from you. In the meantime, please subscribe and enjoy some Bite-Sized Big Data podcast goodness!